Detect exosomes using SBI’s rigorously validated polyclonal rabbit anti-FLOT1 antibodies that recognize the human, rat, and mouse versions of the protein. When you’re ready to confirm that you’ve isolated exosomes, stick with the exosome experts at SBI. Our polyclonal rabbit anti-FLOT1 antibodies recognize the human, mouse, and rat forms of the protein, and are a great choice for general exosome detection, especially when used in conjunction with antibodies for other exosome markers such as the tetraspanins CD9, CD63, and CD81, as well as the heat shock protein HSP70 (if you have any questions about the best antibodies to use for your exosome project, we’re ready to help! Just email us at tech@systembio.com). 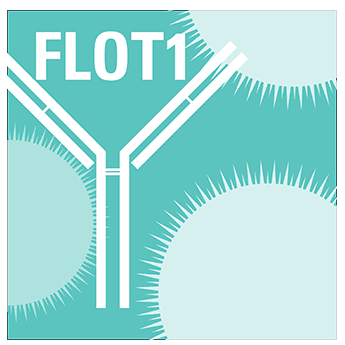 And, like all of our antibodies, our anti-FLOT1 antibody and the included goat anti-rabbit HRP secondary antibodies are rigorously validated for exosome detection via Western blotting.